Regular Wooden Force Training Buck with Extended Handle. $12.95. I wish the dowel was made from a harder wood. The softwood encourages chewing. 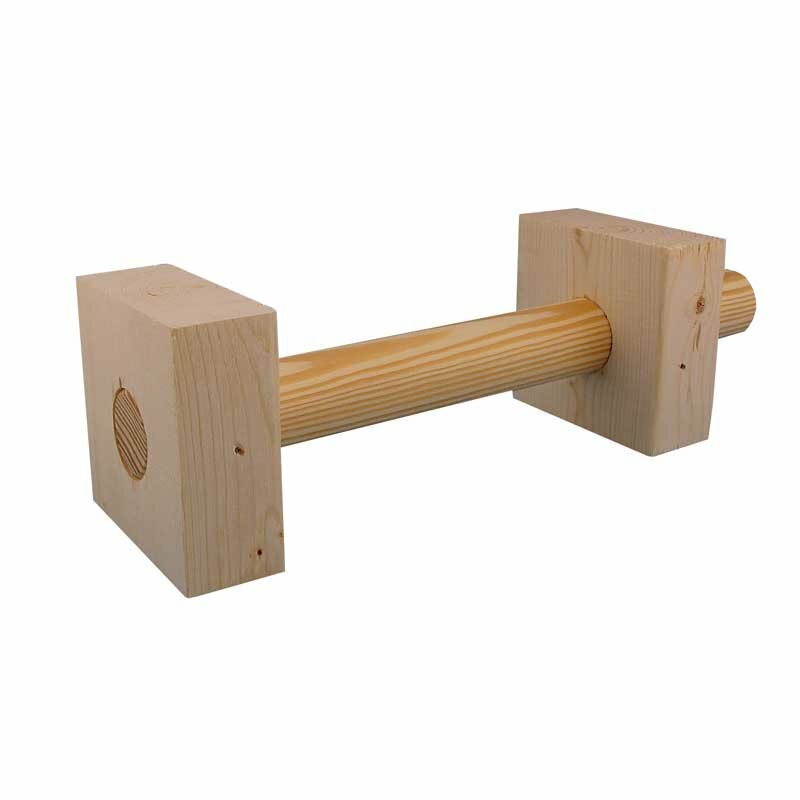 My dog loves to fetch it, but he has about chewed through the dowel. 11.75 inches long with approx 6.5" between "ends"
Extended handle helps protect your fingers.